Some weeks ago MOCA participated in the first Proximity Marketing webinar, organized by our Partner A3sec and presented by our CEO, Maria Fernanda Gonzalez along with Pablo Mendoza, Business Intelligence Manager at A3Sec. The webinar focused on showing uses cases and sharing learnings about how to leverage proximity technologies to increase revenue growth in Retail applications and it was available only in Spanish. But due to the lots of requests for making it available in English, I wrote a post highlighting the best of this webinar. Here you have the summary. Proximity marketing is a new marketing strategy based on location technologies that allow users to communicate with their mobile smartphones in real time, at the right place and at the right moment. It could be also defined as an action or bundle of actions that use location technologies to communicate and connect with customers via their smartphones. These actions could be any kind of content (text, video, HTML, passbook, etc) and will be trigger with specific location conditions. Proximity marketing is composed of 3 fundamental pillars: location devices, a technological platform that connects and manages all the information, and smartphones that serve as a communication channel between users and brands. 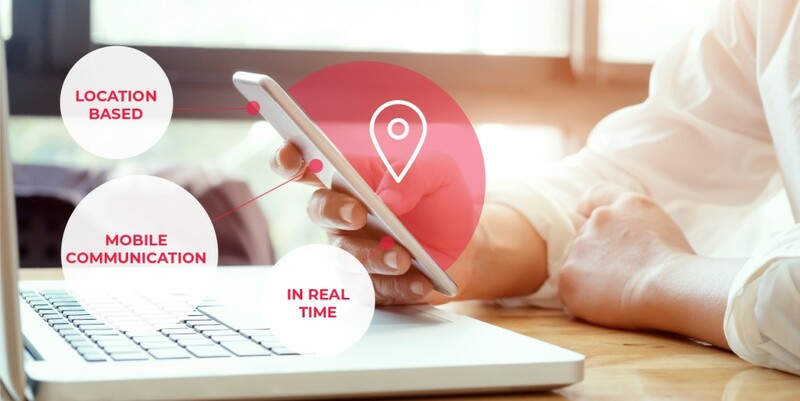 Moreover, a location-based marketing platform could incorporate location intelligence and behavioral data in order to improve audience segmentation and the delivery of personalized messages. 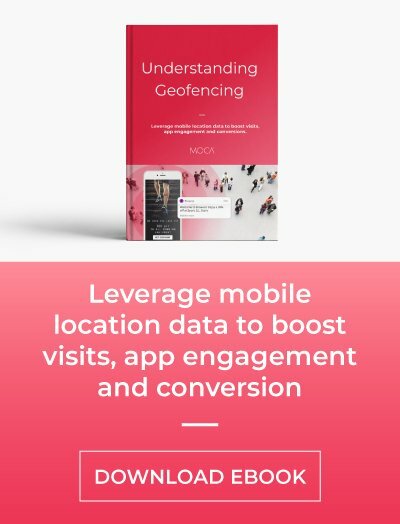 Geofencing uses geolocation data to target users within an established geographic area and delivers content based on where they are or in what locations they have previously visited. On the other hand, beacon technology adds an extra dimension to Proximity Marketing. A beacon is a small Bluetooth low-energy sensor that can be placed anywhere and is detectable by nearby mobile devices allowing mobile users to receive proximity-based experiences. When multiple beacons are deployed throughout the venue, one can distinguish between floors, sections and even individual product lines. So how can you determine whether to use geofences, beacons or both in your app? A good rule of thumb would be to think of geofences when you want to interact with a customer in a geographical area of 100 meters at least (“macro-location”). When you need a finer precision (“micro-location”) you should use beacons instead. For confidentiality reasons, we can’t disclose the name of the brand. But, this brand has more than 1000 stores in more than 70 countries, covers an area of 455,000 square meters and has a Mobile App with more than 5 million of downloads. We will comment on the problems that the retailer wants to solve in general. But, the solution is not only for fashion retailers, it can also be used by fast food restaurants and banking. It changes the business focus but they’re approaching the solution in a similar way. What does the brand want to measure? For this particular case, the brand wants to measure if the users they have in their Mobile App can be converted in the physical store. So, the KPI is the conversion of the mobile user in the store. 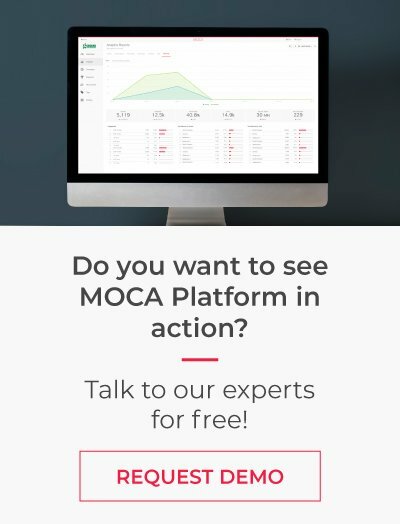 To start measuring, we integrated the MOCA SDK into the Mobile App. Geofences were placed around some stores and some beacon sensors were installed. It’s important to know the retail business case to know what technologies to use. This brand first wanted to see attraction strategy. At first, brands usually do not want to measure too many KPIs because they lead to confusion. In the case of this retailer, we will only measure the uplift of traffic to the store. Location of users and profile in real time: MOCA allows you to see where the users are in the physical world and, after gathering information for a certain time, we could see where they have been and how they have moved. Once you know globally where those people are, you create attraction campaigns to the physical stores of the brand. For example, if I know that users are in Central Park or at airports, I would create campaigns associated with these geofences. All this geolocation data will enable us to profile the user and add a deeper level of personalization to the campaigns. Creation of campaigns to attract them to physical stores: First, the audience is divided into two groups, control group and influence. The control group will be used to measure organic traffic and won’t receive any location-based campaigns. On the other hand, the influence group will be used to measure the users who have been influenced by location-based campaigns. Conversion of purchase with coupons and discounts: Once we have done the campaigns to attract mobile users to physical stores, we will know the conversion ratio. One way to measure it would be integrating data from the point of sale with the platform itself to see if it was really bought or not (but this would require an extra integration effort). The alternative proposed option was to use a coupon that can be redeemed in the cash. In this case, 4060 users were influenced to stores with a 20% conversion in redeemed coupons. With these results, the company has decided to scale the solution in more stores. Obtaining data of the whole process and identifying relevant KPIs: Retailers know what their top brands are but they could also know which stores work better than others. In this way, retailers can adopt the necessary actions to increase sales in those stores that have a low number of visits. Another interesting thing that we can do with location data is to know the number of users that go to the competitor’s store so we can be able to act accordingly. At this point, it’s important to emphasize that data privacy is very important for us. At MOCA, we comply with all the necessary legal regulations. We think that it is necessary to have a balance between the data collected and the added value provided to the end-user.  In addition, we have certain limitation rules within the platform to ensure the best user experience. The most difficult thing we had to face at MOCA, is that now large retailers request for short-term results, so we started doing pilot projects. These should last up to 3 months between signing the contract, initiating the pilot and closing the KPI. This way, the retailer can get another KPI for another 3 months and scale the previous KPI. It means that the retailer could scale its business little by little. If you have any questions about Location Marketing technologies and business cases, please feel free to get in touch with us. We’re always glad to help.